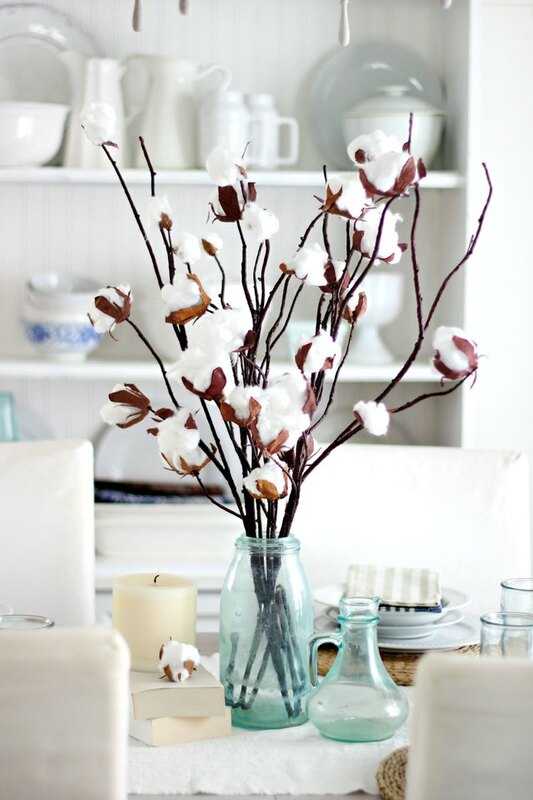 Bring a rustic accent to your home with a faux cotton branch centerpiece. Whether bundled by themselves in a tall vase, arranged with bouquets of fresh-cut wildflowers, or woven into golden stacks of wheat for autumn, they add a natural and earthy element to your floral displays. 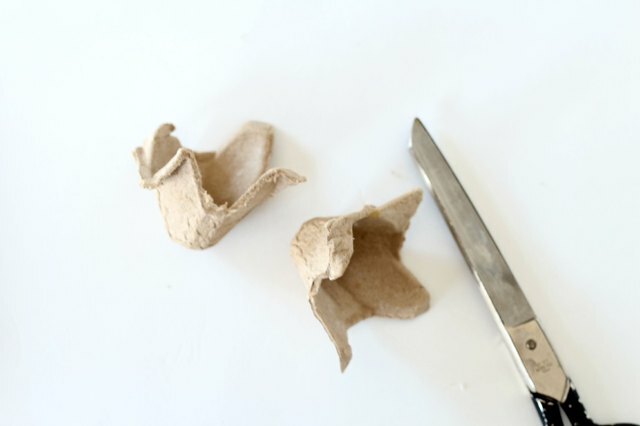 Separate the individual egg cups from the carton by cutting them with scissors. Cut four petal-like shapes around the cup. This will form the pod of the cotton boll. You can also do this step after painting the carton as the paint makes the fibers softer and easier to cut. 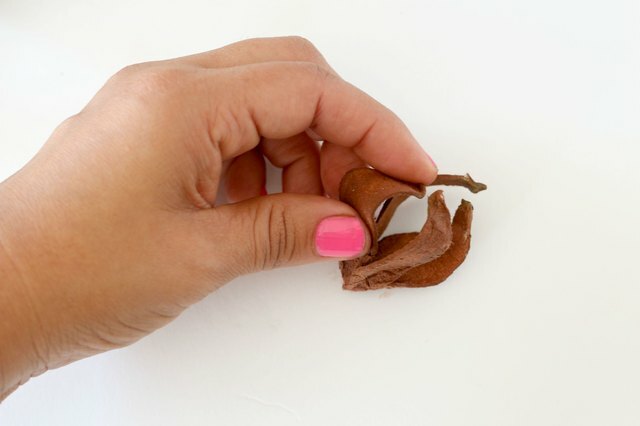 Use brown paint to paint the entire boll, inside and out. Here watercolor paint was used, but you can use acrylic or craft paint. Try mixing various shades of brown to give the cup more depth and dimension. 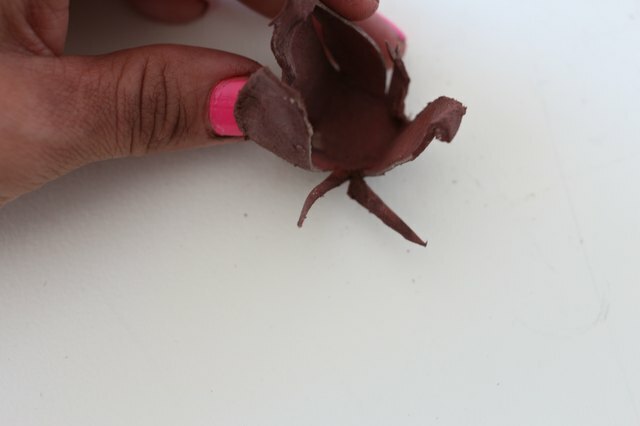 Bend each "petal" of the boll towards the middle and set aside to dry. 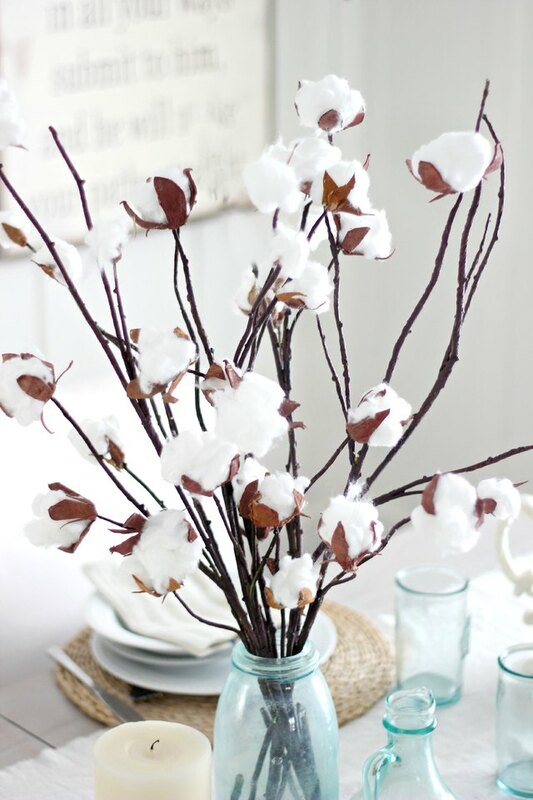 To make the cotton bolls more realistic, cut some smaller fragments around the petals of the boll. 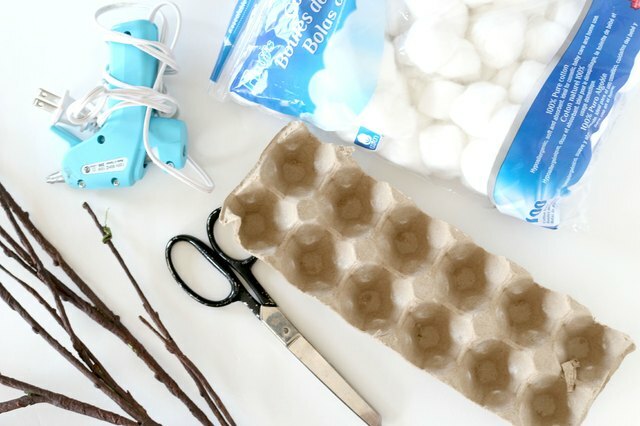 Prepare the cotton by taking two cotton balls and pulling the fibers apart. 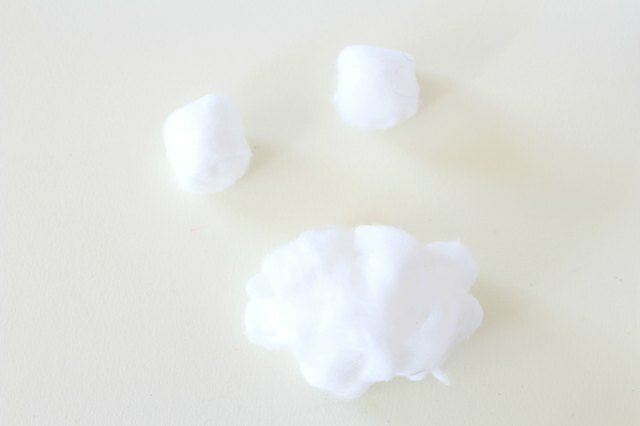 Combine the two cotton balls to make one large ball. Hot glue the cotton into the center of the boll. Shape the larger petals on the boll towards the center and the smaller fragments towards the bottom. 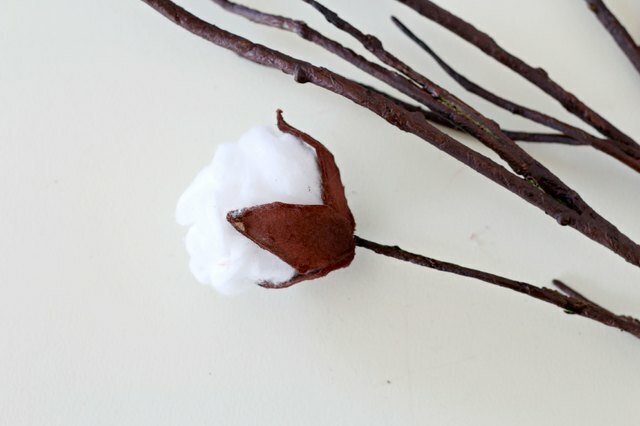 Apply hot glue at the bottom of the cotton boll and attach it to the tip of the branch, holding it in place until secure. 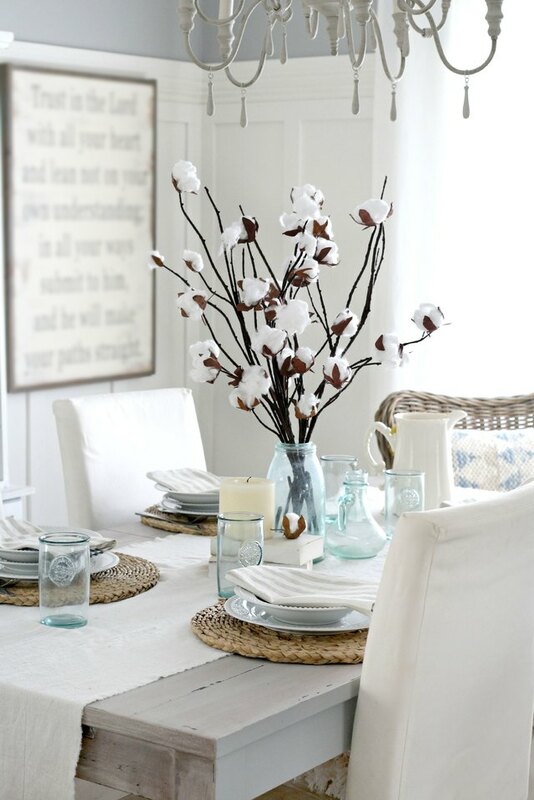 Continue this process, varying the sizes of the cotton bolls for a more realistic appearance. 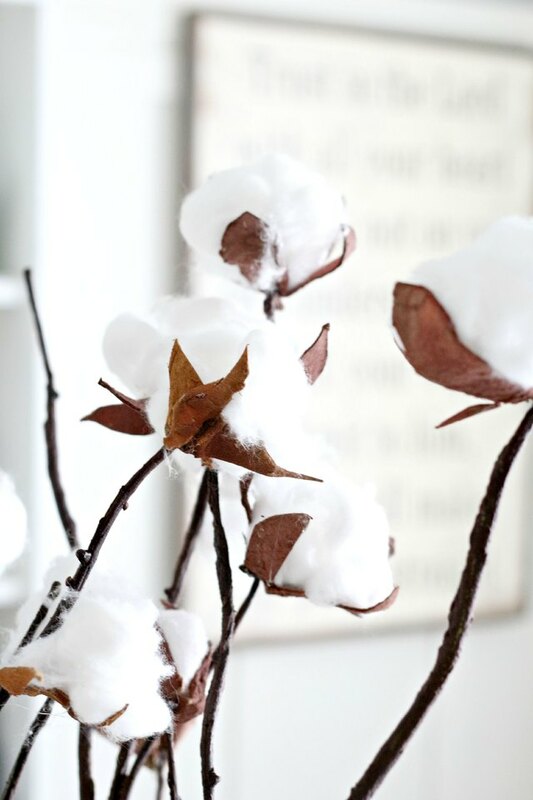 These faux cotton branches will add a touch of country-chic charm to your home decor. Gather your branches and insert them into vessel for an easy centerpiece. Alternatively, you can use the branches to make a wreath.